Sometimes all we need is a new view. A new vantage point to see things in a different light. When we choose to look at things differently, we can begin to think differently – and this can bring amazing change in our lives. In the movie, Dead Poet’s Society, the teacher tells all of the boys to stand up on a desk. They quickly see that the whole room looks different from there. It’s a simple thing, standing on a desk, but it lead the boys to a new perspective. 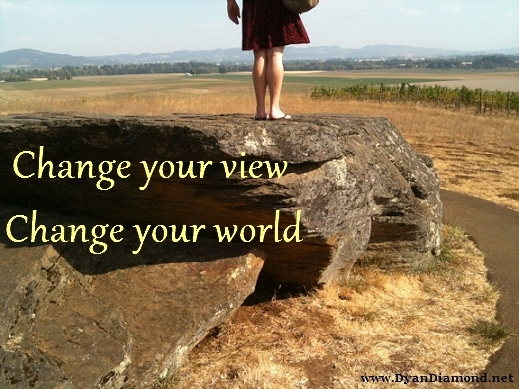 How can you look at things differently today? Love You! How To Live In Love Empower yourself with love! Order my new book at a special price during pre-release and receive a FREE online workshop and other great stuff! Previous Post Fun is calling! Will you answer? Next Post Have A Fresh Start Now!